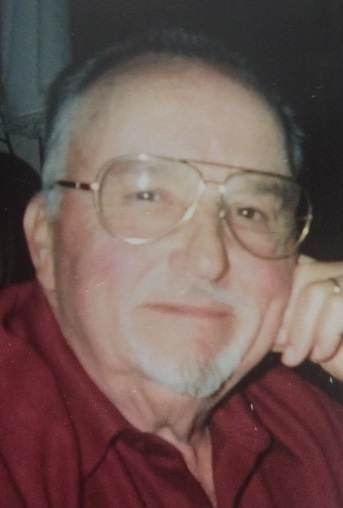 Lawrence J. Ralph, 80, of Bradford, passed away, Thursday, December 6, 2018 at The Pavilion at BRMC. Born June 1, 1938, in Rochester, NY, he was a son the late William Ralph and Mildred (Lecceardone) Schoonmaker and step father Claire Schoonmaker. Larry graduated from Lake Shore Central High School in 1956. Larry was married to his first wife, Marilyn Cross of Silver Creek, NY for 31 years. On June 24, 1989, in Limestone he married Catherine M. (Heron) Ralph who survives. He was employed by Bethlehem Steel as an electrician and as a Safety Engineer for a total of twenty-eight years. He also was employed and retired from the New York State Department of Labor. Larry was involved with many committees in which he held several offices which includes the Fire Commissioners, serving nine years on the Board of Fire Commissioners, appointed secretary six of the those nine years. He was elected Committeemen of the Town of Evans Democratic Committee serving the Highland on the Lake area for 22 years, elected Town of Evans Councilman for three 4 year terms, appointed member to Town of Evans Sesquicentennial Celebration Committee. He was a life member of the Highland Hose Volunteer Fire Department serving various Line Officers positions including Assistant Chief. He served as Chairman for the Village of Limestone Planning Board for eight years and helped prepare a new Planning Law that was passed into Law for the Village. Larry was a member of Pine Acres Country Club for 21 years in which he was elected for a five year term to the Board of Directors. He enjoyed hunting, golfing, bowling, and fishing. Larry also enjoyed maintaining a six month winter residence in Rockledge, FL from 1999 to 2016. He attended St. Bernard's Church, and St. John's Catholic Community Church in Viera, FL. He is survived by his wife Catherine of 29 years, one son, Gary (Christine) Ralph, of Angola, three daughters, Kim (Kent) Marsh, of Sinclairville NY, Teri (Frank) Lautner, of Derby NY, and Karen (Robert) Langdon, of Derby, one sister Cheryl (Gilton) Daigle of Saratoga, NY, seven grandchildren, four great-grandchildren, two step-grandchildren, several nieces and nephews. Larry is preceded in death by his parents, and one brother, William J. Ralph. Family will receive friends on Monday December 10, 2018, from 10:00 to 11:30 AM at Hollenbeck-Cahill Funeral Homes, Inc. 33 South Ave., where a prayer service will be held at 11:30 am followed by a Mass of Christian Burial at 12:00 PM in St. Bernard Church with Rev. Stanley Swacha, Senior Associate, as Celebrant. Burial will be in Willow Dale Cemetery. The family requests donations to the SPCA, P.O. Box 313, Bradford PA 16701, or a charity of the donor's choice. Cathy, my thoughts and prayers are with you and Larry''s family. He will be sorely missed. So sad hearing the news. Take time to grieve Cathy. Hugs to you. Karen and family, So sorry to hear of your Dad''s passing. Sending prayers for him and you.